If this conjures up an idyllic, romantic daydream of the perfect day in the perfect place to exchange your vows, then a destination wedding could be right for you. That daydream can easily become a reality; and a very practical one at that. ​We want to make sure that your wedding is about you and your perfect day. We have the experience and are excited to help you have a vacation you will never forget. 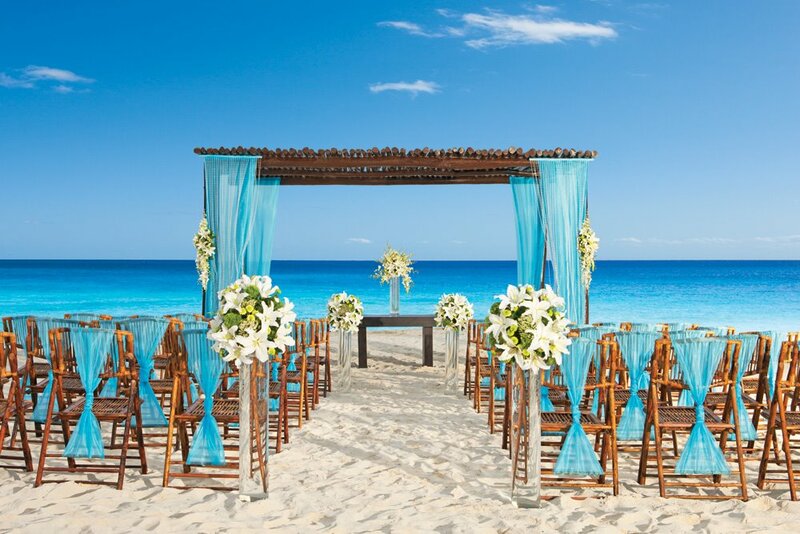 ​WHY CHOOSE SUNSATIONAL BEACH WEDDINGS? - Planning, Coordination, and Booking of All In-Destination Activities such as Golf, Tours, Scuba etc. We are experts in the resorts and have great relationships and contacts to handle all of the selection, planning, and coordination details. And, very importantly, we DO NOT charge a fee for our group travel planning services. We have an extensive track record and many past client references that will attest to the high level of service we provide to our wedding clients and their guests. If you want to learn more or are ready to get started planning the Destination Wedding of your dreams, give us a call at 877-404-4228 or complete the quick contact form and we'll get started right away. "We used Sunsational Beach Vacations to book our wedding and honeymoon in Mexico. Tom was extremely helpful and thorough throughout the entire process. He was able to help us select a resort, which seemed like a daunting task without his advice and recommendations. He also took care of arranging the travel plans for about 90% of our guests. Everything went smoothly and the resort was amazing. I couldn't have asked for better service. For anyone looking to book a trip to Mexico, I'd highly recommend booking with Sunsational Beach Vacations." Laura was awesome to work with! We had her help coordinate about 40+ people nationwide to our destination wedding in Playa Del Carmen, Mexico. Everyone said how helpful and responsive she was. She was a pleasure and I highly recommend her!